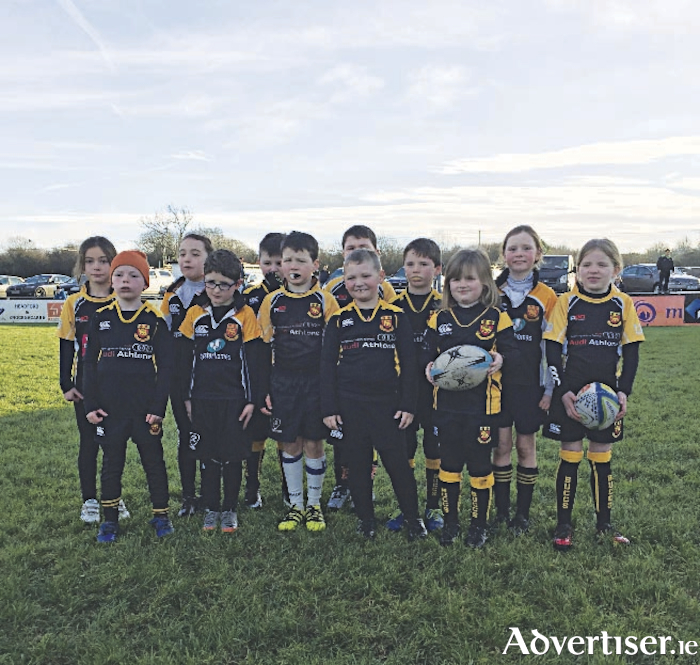 Buccaneers U8s had their first blitz away to Corinthians RFC, Galway last Saturday morning. Buccs fielded two seven aside teams and played two separate games against very well drilled Corinthians units, drawing one and losing the other. Next up is a another trip west to Galway on December 16 to play a half-time demonstration during the European Challenge Cup game between Connaught and Brive. There was a mixed bag of results for the four local teams still involved in the FAI Junior Cup, as just two survived last weekend's fixtures. First in action last Saturday evening (December 2 ) were Willow Park, who entertained Dublin team Firhouse Clover. Although the visitors were well below full strength, Declan Holohan's men found it hard to overcome their challenge, only grabbing a second score in the last minute of the game for a 2-0 victory. Willow took the lead from their first meaningful attack with 11 minutes played. Kevin Murray had a shot blocked, but as the home attack continued, a neat one-two passing movement involving Benny Magennis saw the striker open the scoring with a low shot. It was expected that Willow would now press home their advantage, but Firhouse proved difficult opponents. Glen Byrne picked up a yellow card for a foul which was to prove costly later in the second half. Magennis had a chance to double the lead on 33 minutes, but after beating the offside trap he saw his effort strike the post. First chance on the resumption of play in the second half fell to the Tallaght outfit, but Willow goalkeeper Michael Fogarty was equal to the effort. Willow were struggling to press home the slight advantage they had and were rocked when Byrne was sent for an early shower after picking up a second yellow card after 65 minutes. Advantage looked to be with the visitors, but they could not take advantage of their numerical superiority despite throwing caution to the wind late on. With the game almost up and heading towards stoppage time, two substitutes linked up to seal the victory for Willow. Aaron O’Neill set up Sean Brennan, who had the relatively simple task of shooting into an unguarded net. Ballinasloe Town also enjoyed home advantage as they welcomed Cork AUL outfit Knockraha United to the Curragh Grounds last Sunday afternoon. Both centre halfs were on the scoresheet as the hosts eased into the sixth round. The deadlock was broken just before the half time break when Joe Woods fired home from long range after a free kick was not cleared by Knockraha. Des Hope made the closing stages comfortable when he got on the end of a corner kick to find the net midway through the second half. There was no luck however for the other two Roscommon League sides left, as St Peters and Moore United made their exit. The Saints had a tough assignment, travelling to Limerick to take on Regional United. Although the all-weather pitch is often a great leveller, Philip Coffey’s men never got going as they slumped to their first defeat of the season. With Noel McGee leading the attack, hopes were still high in the Saints' ranks when the opening half ended scoreless. However, the home side struck for the winner before the hour mark. Moore also exited in disappointing fashion as, in spite of having home advantage, they were beaten three goals to nil by Cork team Grattan United.